HGVG Presents: The Top Ten Games of 2016 – Hey Guys, Video Games! I only had time to play one Japanese game that took ten years to make and was released in December during calendar year 2016. Ueda’s boy-and-his-dog-bird-cat epic is going to have to wait. A lot of this game’s look, sound and feel make it seem like it’d be My Kinda Thing, but like a lot of games, it came out while I was very, very, very deep in the trenches of my eventual Game of the Year. No time could be made. 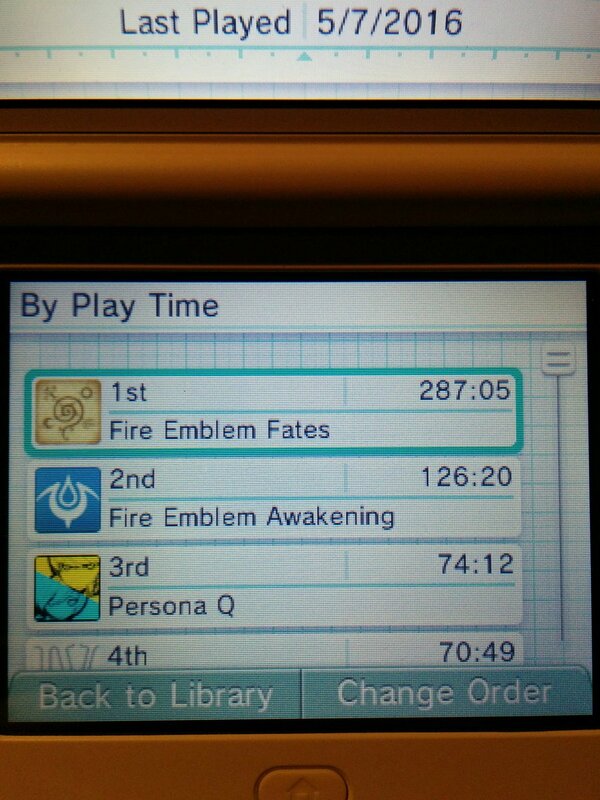 Dragon Quest occupies a very large portion of my Active Time Battle to-be-played list. VII seemed like a good place to jump in, but 2016 was kind of a red letter year for the Japanese Role Playing Game genre. I couldn’t make time for all of them. Deus Ex: Human Revolution was a more-than pleasant surprise last generation. It did a great job of capturing the essence of the Deus Ex experience and distilling it all into a simpler, more-approachable package without sacrificing overall quality. It sounds like this game is just more Human Revolution. That’s not going to blow any minds, but I’m still down for more–just not this year. Stuck somewhere between my excuses for Deus Ex: Mankind Divided and Hyper Light Drifter is poor, poor XCOM 2. I liked the rebooted XCOM a ton, and was very very much into the idea of playing more of it, but a fundamentally similar set of games was due to release just two weeks later. I could only pick one turn-based tactics game, and this one had to sit out. Sorry, XCOM 2. Although Titanfall 2 hedges itself a little too close to modern shooter conventions for my tastes, there are just too many inventive ideas in the campaign to not give it a shout-out. Press L1 to Time Travel. Final Fantasy XV is a game at war with itself. Well, it’s like two games, one waging war on the other. Bro Road Trip Simulator 2016 is great, but as soon as the game remembers it’s supposed to be a Final Fantasy game, it starts sabotaging itself. Still, I’ve had a great time on the road with my surprisingly charming posse of extremely pretty boys eating even-prettier food. This is kind of a ranking-in-progress because I just started this game recently, but I’m already enjoying what it’s putting down and expect it to only spiral further out of my control. A great no-stress chill-out game. We need more games that are content to just be about existing in places. I’ve emerged from the depths of Anime Hell (idol hell, the seventh circle) to warn you of Anime Satan, guised as a game called Tokyo Mirage Sessions #FE. If you let yourself be fooled by its cool battle system, its solid dungeons, its nods to the Shin Megami Tensei and Fire Emblem franchises, its general charm… you might find yourself under its terrible, demonic spell. Some strange AI quirks have put me off Civ VI for the time being, but considering Firaxis’ track record for tuning and tweaking their games to perfection after release, I have utmost faith this game is going to demolish Civ V once they clean up the last five percent. They’re working off a far stronger base, and Civ V turned out to be a real firecracker once they got it where it needed to be. Civ IV might just be the moon. If I’m making any sort of best game list and an Atlus game qualifies you kinda know it’s gonna be on there somewhere. That’s just my thing. These guys make my stuff. Shin Megami Tensei IV Apocalypse is, on paper, one of the least-necessary sequels ever put out, at least to the casual observer. For the super-fans, though, the tweaks to the battle system are huge, and are going to make Shin Megami Tensei IV all the more difficult to go back to. It’s also the first game in the series where Matador has actually been a worthwhile demon to fuse. These are the sorts of hyper-granular distinctions you need to make when you’re judging games this iterative, but the fact that I care at all about that sort of thing should go to show how little I care that they aren’t exactly rewriting the book every time they put one of these things out. Sometimes I hate Overwatch. More than any game on this list, definitely. I’ve also probably played it more than any other game here, so it’s doing something, right? The character variety is a huge part of the winning formula, I think. Half the cast have skill sets that are cool enough that you could probably make entire games about playing as that character. It’s easy to fall into a rut and play the same four or five characters over and over, but I think the right mindset to keep things fresh is to constantly mix it up and leave your comfort zone to try out characters you haven’t played in a while. Except Tracer. Screw Tracer. DOOM‘s all whirlwind, heat and flash. Shooter combat hasn’t been this dynamic and effin’ awesome since, I don’t know, Resident Evil 4? In a year that will be remembered for thoroughly shirking all the boring garbage that had accumulated around the First Person Shooter genre over a decade, DOOM‘s campaign stands head and shoulders above the rest. It’s a friggin’ video game. What a rally. Hitman: Absolution was a trainwreck garbage fire of a game. It represented, to me, some of the worst trends in AAA games, and sacrificed literally everything that made this franchise unique, fun and memorable in the name of streamlined mechanics and pushing a D-grade narrative experience that shouldn’t appeal to anyone who’s ever experienced other media in their life. Hitman (2016) is such a direct repudiation of everything that game stood for, and everything this industry has stood for, that it’s hard not to interpret the entire game as just the sickest burn. How do you do such an about-face on something that you, yourself, made? IO Interactive took a long, hard look in the mirror, splashed their face, and got to work–drilling down to the core of what made Hitman such a great franchise to begin with, and then building that core out. The result is basically the textbook example of what a video game sequel ought to be. It’s bigger, it’s bolder, it’s better, but all in service of honoring and reinforcing what people loved about earlier titles, instead of trying to redefine that love. It’s the feel-good hit(man) of the year. These games ruined my dang life for, like, three straight months. I have the receipts. From the moment I put the 3DS down, I was already fantasizing about playing through the whole thing again on the highest difficulty. I was still having animated, energetic, excited and stimulating conversations about Fates with my Fire Emblem friends months after release. I’ve had some this past month. I still remember individual maps, the enemy layouts, the strategies for dealing with them. I still remember how I felt when I learned that bosses can use Dragon Veins. I remember Takumi draining the canals. I remember Sakura rebuilding the barricades. I remember Camilla raining hot death on my army, and taking Ryoma from us. I remember Ninja Hell. I remember Ninja Hell Part 2: The Ninja Hallway To Ninja Hell. I remember Mr. Fuga’s Wild Ride. I remember Iago’s blatantly-unfair unique skill and the mental gymnastics I had to perform to survive his onslaught of status effects. People complain about the story being bad in this game. What the heck ever dude, Fire Emblem stories are always bad. Being the worst of a bad bunch is forgivable. Where Fates succeeds is in realizing that the only stories of any true value in a Fire Emblem game are the stories you create yourself. When you lose an important unit and decide you need to press on. When you create an inventive strategy to deal with a tough map. Awakening gave you more opportunities than ever to invest yourself in your army, through mechanics like child-rearing and reclassing, but sold those mechanics short with map and encounter designs that didn’t encourage the crystallization of those little moments that define a Fire Emblem run. Fates fully realizes Awakening‘s initial promise by introducing maps that are worth telling stories about. I mean, look at the paragraph above this one! I’ve bundled the games as one package because it’d be worse for this list if I had Conquest sitting pretty at number one and Birthright hanging out in the 8-5 zone, but special attention needs to be paid to Conquest for having the majority of the memorable moments sprinkled throughout its incredible set of maps. With Fates, IntSys didn’t just deliver the most Fire Emblem, they’ve delivered the best Fire Emblem.